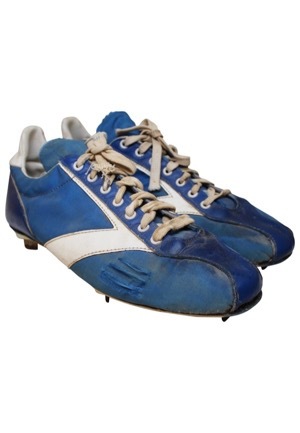 Brooks manufactured blue cleats with white trim that are sans the size tag. 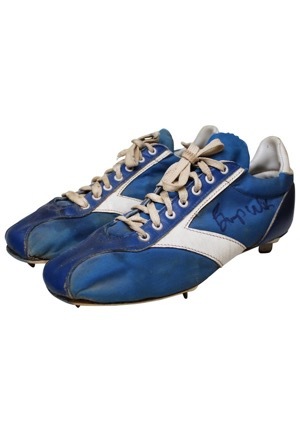 The player number “1” is handwritten on the back of the cleats in blue marker. 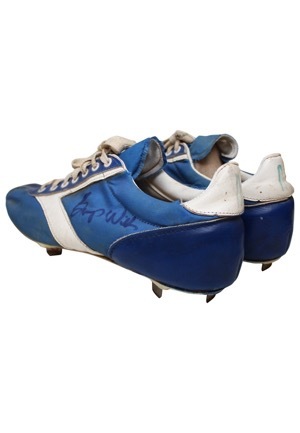 Willis signed the outside of the left cleat in blue marker and in our opinion the signature rates an 8. These cleats are properly tagged, were presented to us as game-used and show use. Originally sourced from the equipment manager, accompanied by a LOA from JSA.